As you plan your trip to Tanzania Africa & beyond, let Tanganyika work with you from beginning to end. We will listen to your wishes and needs of your trip and we do. We will walk you through all the steps necessary to make this the ultimate trip of your lifetime,whether relaxing on the beaches of the Indian Ocean, taking a gentle balloon ride over the Serengeti to watch the migration of animals, learning about the 126 tribes and their customs or climbing the most majestic Mt. Kilimanjaro. 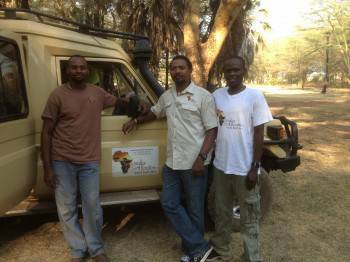 No safaris offered by Tanganyika Ancient Routes Ltd on SafariBookings at the moment.